Edit: To read a great article that explains in detail how the virus is spread and is likely in the USA at some point, see this article. This also explains why it is impossible to tell you if visiting Haiti is "safe" or if you'll get this virus. 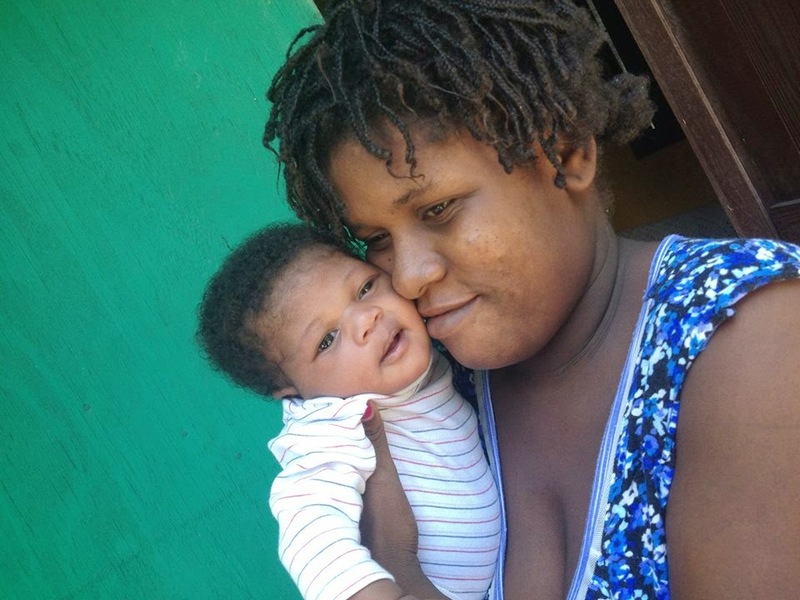 Since 8 days ago when I first wrote about this nasty new (to Haiti) virus, we have seen more pregnant women and more babies with the virus. Thinking back on things we believe we saw our first case on May 6th. Since that time many more have come with the exact same symptoms. Each new day has turned up new cases. For newborn babies it seems much more difficult to tolerate. Emma's baby had it at two weeks of age, but we now have two five day old babies with it. New babies that have not established a solid nursing pattern are at a higher risk. Tonight the Maternity Center transported a baby girl (born early morning last Saturday) to three hospitals. Thankfully, the third hospital was able to take baby Anna. At least three of the Maternity Center staff-members have had it and there is a collective holding of our breath as those of us still doing fine all hope to be the ones that don't get it. It is rainy season, our area is low lying and we frequently have standing water and thicker mosquito population. We don't know what to expect long term, but in the short term we are so sad to see pregnant women and babies suffering from this disease and we feel a lot bit helpless as we watch it spread so quickly. Today multiple people wrote to ask about bringing their group to Haiti (specifically asked about certain areas of the country) and asked, should they still do that. I am notoriously two weeks behind on email, I want to publish my thoughts about that question here in case I don't get to emails in time. If you are wondering if you can avoid getting Chikungunya in Haiti this spring/summer, I would answer you the same way I would about Malaria or Dengue Fever or even diarrhea caused by contaminated water or food. Many people will likely come visit and be fine, they will leave Haiti without a rash or fever or pain. Some people are going to get sick. There is no way to avoid it. There are precautions you can take, but I saw some of the most cautious and careful people I know with Chikungunya, so I don't think bug spray and hyper vigilance alone is a guarantee of staying free of the virus. The only difference between the other things I mentioned and Chikungunya - is that Chikungunya is spreading quickly and many, many people are getting it right now. We are hopeful that it will slow down but right now it is only ramping up. I don't have a deep well of knowledge to draw from to bust out any statistics for you, but when asked "Do you think I will get sick if I come next month?" I can honestly only say, "possibly, yes/no." It is similar to me asking you to tell me if I will get the flu or a bad cold if I visit you in your state/country during the high season of viral illness in your land. People get sick sometimes - and other times they don't. Many here live in conditions that are difficult and at times deplorable. As DokteJen struggled with pain last week, she and I both thought about how miserable sparse electricity, no running water, and very few options for pain relief must be. While we that visit this island or call it our adopted home have reason to be careful and concerned for ourselves, we aren't the ones with the huge challenge of facing this virus without basic conveniences or adequate resources.